An authentic recording of Leeds United fans chanting and singing in the Leeds United Kop in 1974. This was recorded by me on a cassette recorder which has now kindly been put onto digital by Chris from @LeedsFanzines. Please be aware that this recording includes swearing and potential violence so if you are easily offended this is not for you. I do not condone violence but this is showing what it was really like at the time. 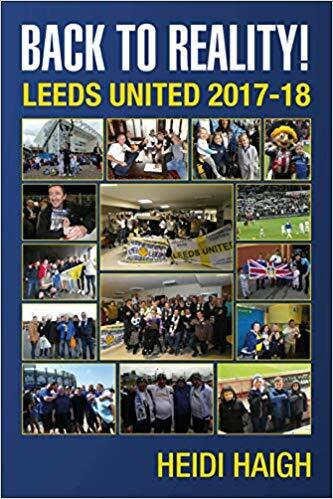 The recording links in with the book I have written called Follow Me and Leeds United which is based on a diary I kept in the seventies when I didn’t miss a Leeds United match home or away for seven years. It is about being a girl in a man’s world when Leeds were one of the best teams in Europe. As a female it shows what lengths I had had to go to in order to follow my team and the problems/violence that I encountered for daring to be female and going to football matches. Although based on my experiences as a female football supporter following the most successful club of the era, it brings to life what it was like for all football fans to follow their team during the violence of the ‘70s. It is not just about the football, it is about the fun of following your team, the camaraderie and the ensuing lasting friendships. For anyone who followed football in the ‘70s, especially if you were one of the rare female fans, this book is for you.” The picture is a copy taken by the Yorkshire Evening Post in 1974 that I have in my possession.